Set the scene: It’s earlyish morning. 8am. I’m driving through Marblehead Massachusetts, coffee in the center console, warming my right hand, while my left glides the steering wheel around a sweeping turn. Out the windshield I see a gap in the trees. 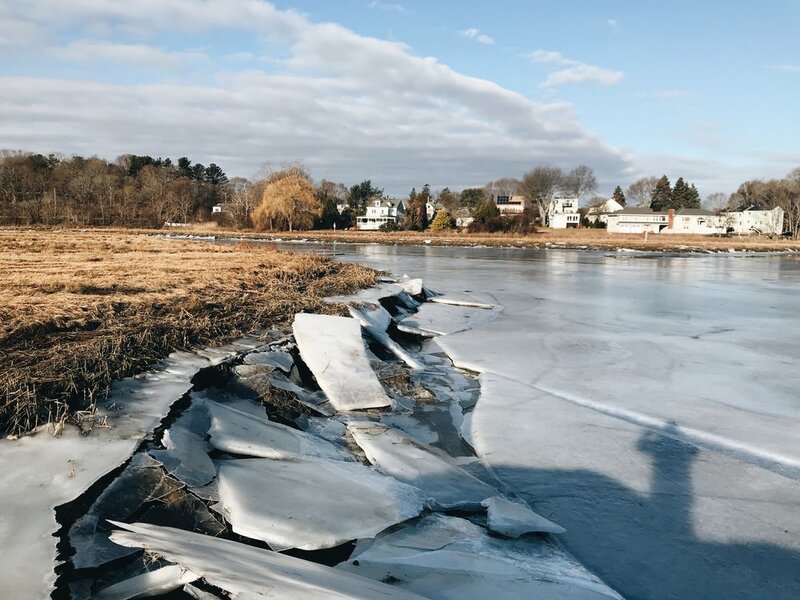 There’s a frozen body of water, thick slabs of ice piled up along the liminal edge where it meets the bright, bleached yellow grasses and trees along the shore. The ice looks like a demolition site, like concrete slabs. 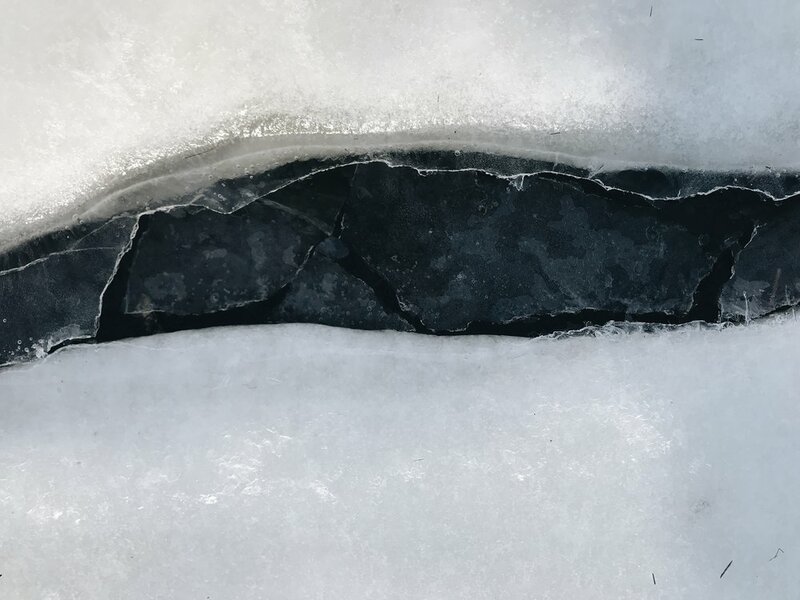 This is a tidal area, brackish, a mix of fresh water and salt, and the tide has gone out leaving a hollow space beneath the ice which causes it to collapse. Houses lace the shore line, a canoe or kayak in their backyards. This is a section of the Forest River Conservation Area. I’d never heard of it, and I didn’t come here on purpose, but from the road I’m intrigued by the ice, so I quickly change my plans and pull onto a side road and park. That’s one of my favorite parts of this project that explorers humans in nature - the surprise. I’m not from around here, and the joy that comes from encountering the unexpected scraps the ocean has left on the forest floor, so commonplace for this part of the world, is a novel juxtaposition for me. 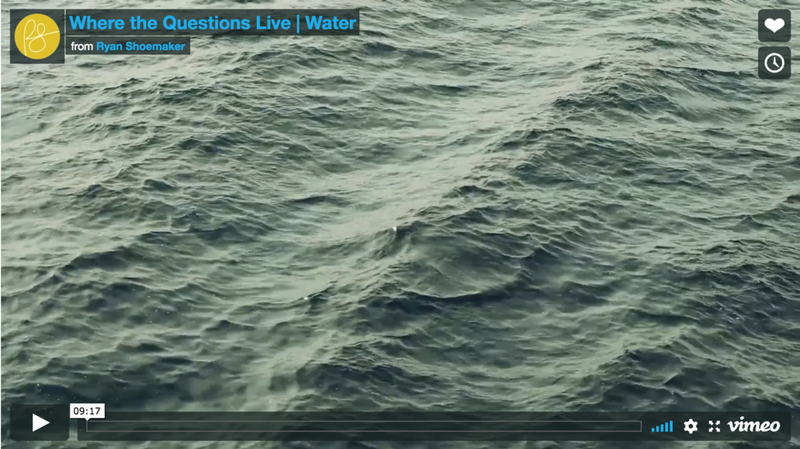 The poet John O’Donohue talks about the ancient conversation between the land and sea, and certainly this place, and with its seaweed in the woods, gives me an opportunity to listen in on a new part of that conversation that I have never heard before. 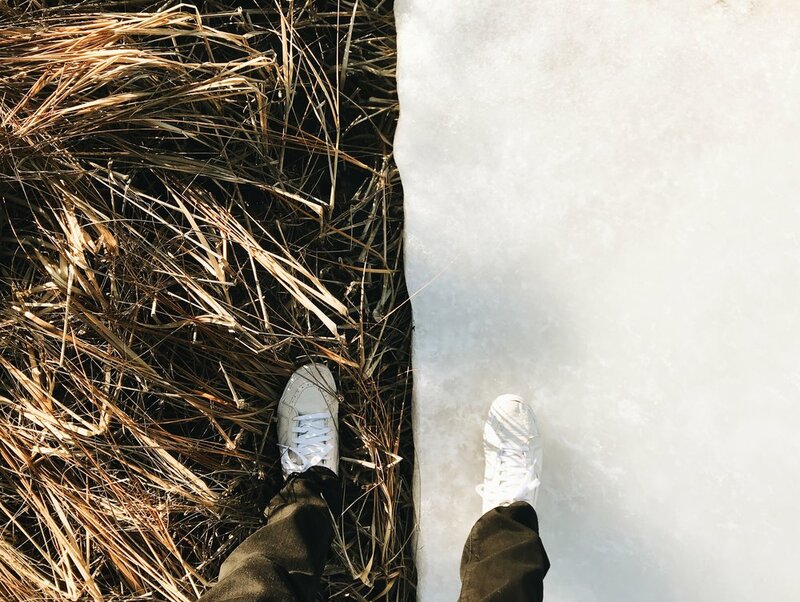 Intentions: I walk along the edge, hopping small chasms, climbing onto the broken mosaic to be here with this place, to be with the water, and the land, and the water that freezes pretending to be landing. I slowly and carefully test the thickness. How deep is the ice? Is it mud below, or water? How cold is it now? Is the temperature below freezing to retain the freeze, or above freezing causing thaw? I run and slide in my skate shoes (also my “nice shoes”) and scoot across the surface like a water strider. 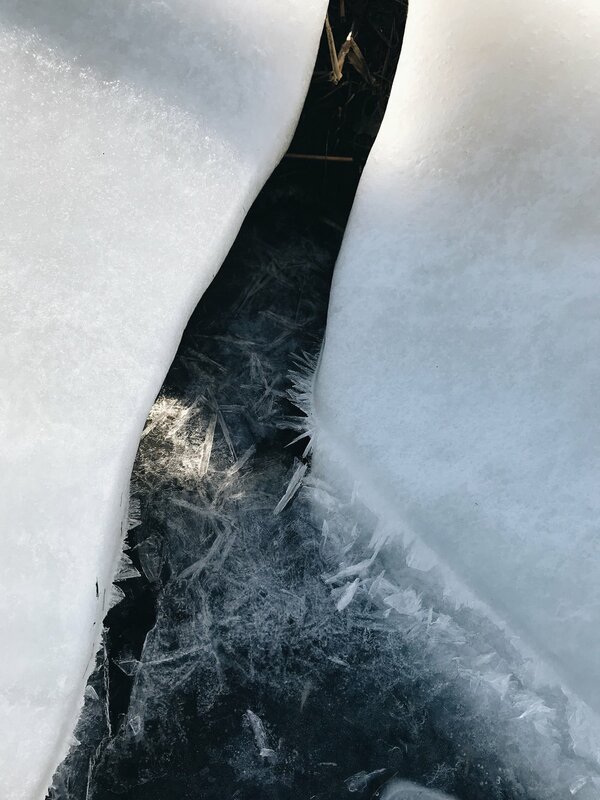 I want to see the fractures, the hollow spaces, the deep indigo the hides in the cracks, the geometry of the ice crystals as they spread out like creatures. I sit on the ice, and then lay on my back, feeling the deep cold move up my back and touch the back of my neck with its wintery hand. The air tastes different in these three different postures, standing, sitting, laying. I’m here to look closely at the way the ice breaks apart and its myriad personality traits. 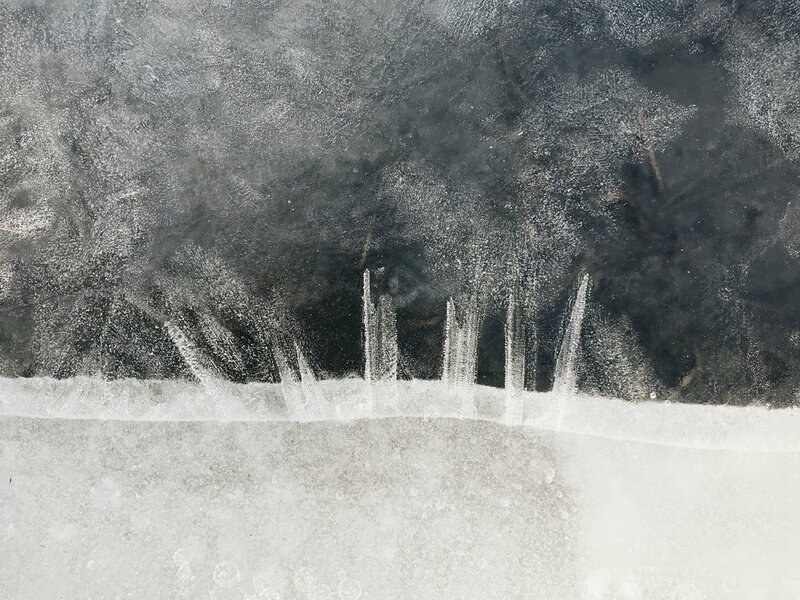 I want to pay close attention to the aspects of sculpture the ice shares - form, composition, texture, line, shape, movement - I will be creating sculptures, paintings, and an installation based on the landscapes I encounter here in Massachusetts. Realness: I got a work text at 9:08 as I was laying down on my back on the ice, it was about another meeting I had at 9:00 that I had neglected to put in my calendar. So me and my nice clothes got up and double timed it back to the car to get to work.